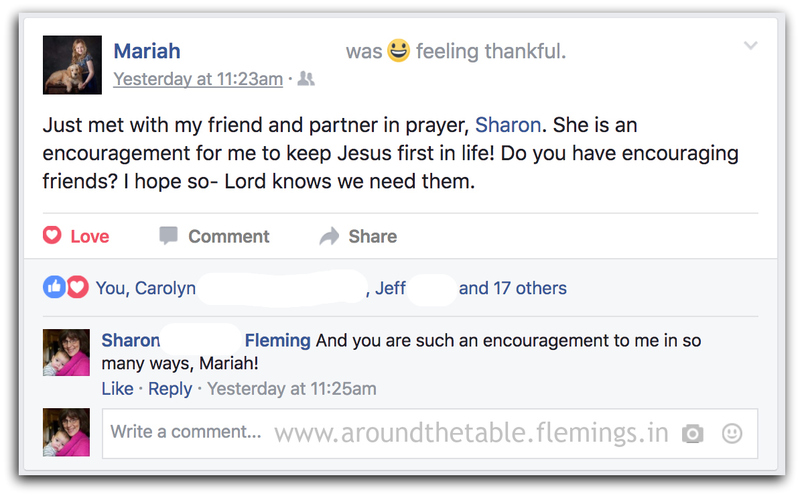 Around the Table Book: Who Prays for You? One of my favorite questions to ask my Christian friends is, "Who do you know was praying for you before you became a Christian?" I have yet to find someone who can't name someone who was praying for them. 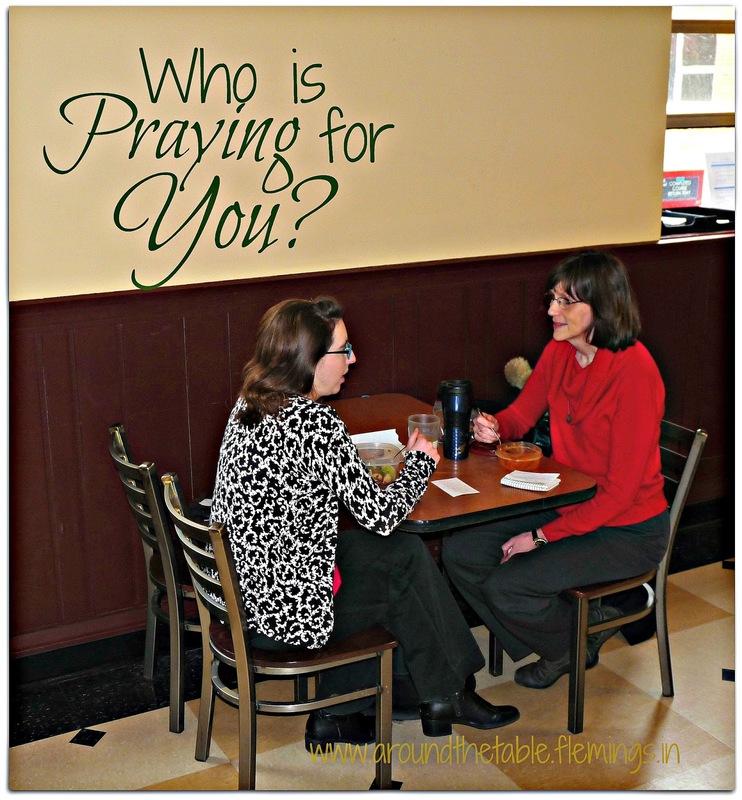 I'm wondering if I should ask my Christian friends, "Who do you know who prays for you now?" The goal was a ministry of facilitating older women mentoring and discipling younger women in the faith, but we started with prayer partners. We had a sign up sheet for anyone who wanted a prayer partner for the summer. If they wanted to choose their prayer partner, they could. If they didn't have someone in mind, we would find a prayer partner for them. When we got our list of names together we looked at each other and asked, "Who are we to decide who is paired up with whom?" So we prayed that God would decide. Then we put all the names in a bag and she pulled one out and I pulled one out and those two were partners. Next two names, the same. And so on. It ended up that I had a prayer partner, but she didn't. I told her I wanted to be prayer partners with her, too. So I had two prayer partners--both more than 25 years younger than me! I also started discipling another young woman who wanted to go to the mission field. She has since gone and we still "meet" every other week by Skype. Most of those partners kept it going as well. 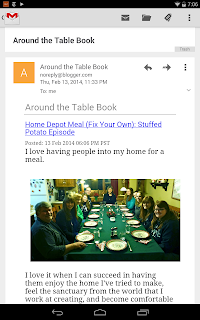 Would it surprise you to know that many of us meet "around the table" over lunch or coffee? One pair even overcame living 50 miles apart and working opposite shifts by using video calls, email, and texts! So if you asked me "Who do you know who is currently praying for you?" Besides my husband and family, I can list three women who know me well, pray for my weaknesses, my ministries, my fears, my health, and my spiritual life. And those relationships have evolved into mentorships--the question is, I don't know who is teaching whom more! Wouldn't you like to have someone like that? Take the risk. Ask someone to pray with you weekly. You can set a time limit if you want. I'd suggest a minimum of eight weeks and a maximum of six months to start. You can reevaluate at the end of that time. If it's not clicking, taking too much time, or whatever the hitch is, you can part friends and try again. But if it is, keep it going! Meeting with my prayer partners is the highlight of my week! So, tell me, who is praying for you? For more of my thoughts on prayer click here. Love this idea! I did the same with the women in a church I use to attend! It was a wonderful opportunity to share in the walk with a sister! I also formed a group of prayer warriors. We divided up all of the women that were in our church that year and during the week we prayed for the women in the group. On Sunday afternoons before our nightly service we met and prayed through the list. We saw God work through so many lives. I love to see God's women living and doing His word! It took me a long time to be brave enough to set this ministry up, but all of those involved really love it! I am so grateful for my mother and other friends and family near and far who pray for me regularly. Thanks for the reminder of the importance of asking for prayer and then giving it to others. I have many family member who pray for me, but I love meeting with these ladies to pray, too. Love the power of prayer. Thanks for sharing at the #InspirationSpotlight Party. I find praying with others so helpful to my prayer life.